HOW TO DIY: Merino Wool Felted Heart Garland — SarahLou Co.
Materials Needed - each item is linked so you can purchase the tools! 1. Take a piece of merino wool and roll the ends in towards the center to create a heart shape. 2. Place heart on Felt Mat and felt the wool by repeatedly pricking the wool with your felting needle causing the wool to mat and blend together. The wool heart will start to shrink in size, compressing into a tighter heart shape. 3. Readjust the heart as needed in order to create a more precise heart shape. 4. 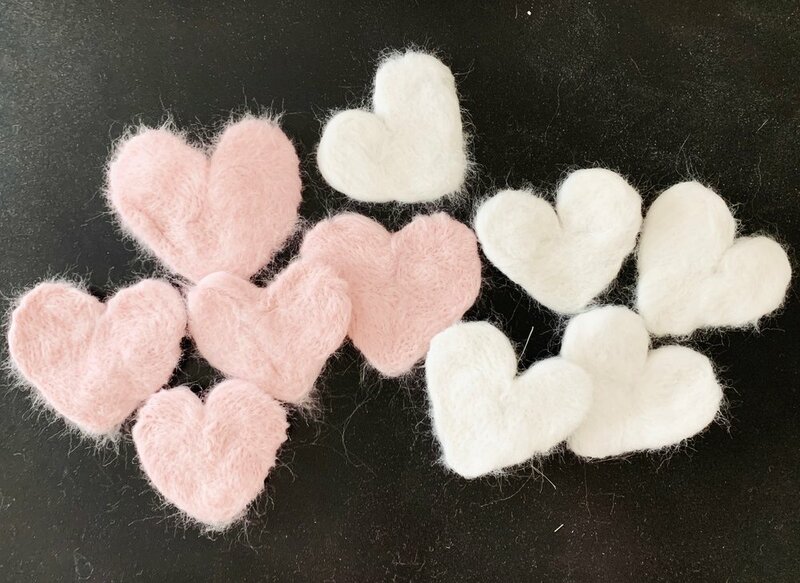 After felting one side into a heart shape, carefully peel the shape off the felt mat, flip and continue the felting process and pricking wool with your felting needle on the opposite side. 5. Repeat this process with all strands and colors of the merino wool until you have made all of your hearts. 6. Using the needle and string, thread through the top of the hearts to connect all hearts onto the string. Create loops on each end of the strand so you can hook them onto wherever you would like to hang your garland! 7. Hang and enjoy!! For a few videos, watch my INSTAGRAM story highlight titled “Heart Garland”.